Cheri Gregory sat down with Amy Carroll to talk platform. In her first interview, they tackle the subject of creating a platform that isn’t about the speaker or that is self-serving. If you are are wrestling with platform or why my platform isn’t about me, read Amy’s wise words. Cheri: Amy, what does “platform” mean to you? Amy: The idea of platform made me break out into hives from the very beginning. It felt so self-serving. My lightbulb moment came when I heard a marketing expert say, “What do you have to give to your audience?” I’m such a visual person, and this revolutionized everything for me. It made me realize God has given me this gift in the form of a message, because all my messages come from a lesson that I have had to learn first. That’s truly a personal gift to me, first. And then I get to give it to my audience. That totally changed the idea of platform to me. Really, if we can reframe “platform” from being something that’s self-serving into something that is serving other people — even just this thought is so tremendously helpful to me! And that we’re shepherding a message. We’re giving a message, we’re not giving a personality, we’re not giving a persona, we’re not giving even blog posts. We’re giving a message that serves people. Cheri: You just described a two-step process. We receive the gift first, before we have anything to give. I realized that I was always trying to tap into something with God when I spent time with him: a new message, a new devotion, a new blog post, a Sunday school class, something. But I wasn’t enjoying him; I was just trying to figure out what I could pass on to somebody else. That’s not really a relationship. Cheri: What a great question to ask ourselves: When’s the last time I spent time with God just to enjoy him? I need to print that out and put it above my computer! How have you become more intentional about enjoying your relationship with God? Amy: Now, I prioritize my time just to be with God, and then I launch into my work time with God. This year my time with God—just being with Him, learning from Him, and enjoying Him—includes three activities. I start with First 5, Proverbs 31 Ministries’ bible study app, follow with a word study of my 2017 word of the year, and then I pray. Silence is hard for this gabby girl, but I try to end with silence and stillness. After all, I want to give God an opportunity to speak to me not just to listen to me! These two thoughts have been revolutionary in allowing the enjoyment of God and His presence to erase the lines between worship and work. What message has God given me to share with his people? How do I enjoy God? 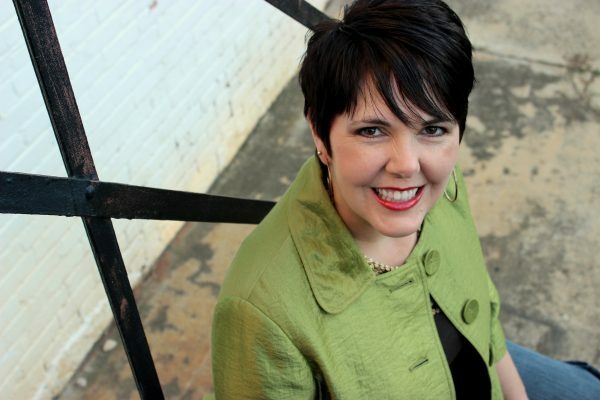 Amy Carroll is a speaker and writer for Proverbs 31 Ministries. She’s the author of Breaking Up with Perfect as well as the director and coach of Next Step Speaker Services. Amy and her husband live in lovely Holly Springs, NC with a bossy miniature dachshund. You can find her on any given day texting her two sons at college, typing at her computer, reading a book, or trying to figure out one more alternative to cooking dinner. Share life with Amy at www.amycarroll.org and find out more about her speaker coaching services at www.nextstepspeakerservices.org. Oh my! Thank you so very much for this Amy and Cheri! Platform is something I have struggled with so much. It is so stinking uncomfortable and I have struggled with lots of thoughts of what people will think about me. This clarifies some things that the Lord has been whispering into my heart. Thank you so much. Truly appreciated!